Unique applications call for very innovative solutions. That's where our engineering team comes in. 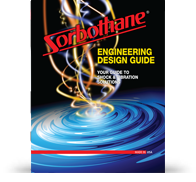 They'll help design the custom Sorbothane® component perfect for your individual product specifications. Download our Engineering Design Guide to learn more. Engineers worldwide have trusted and relied on us for over three decades to produce unique and creative materials and components to isolate vibration, attenuate shock and damp unwanted noise. They've come from a very diverse group, as well. We've engineered individualized shock and vibration solutions across numerous markets. Download our Engineering Design Guide to learn more. View our Engineering Solutions Showcase to see how we worked with NASA, Vitamix, Wilson Sporting Goods and many more to provide custom solutions. 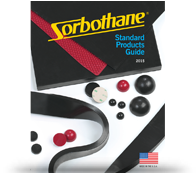 We also offer an extensive line of standard Sorbothane® parts. Download our Standard Products Guide for more information. Learn more with our Basics of Vibration and Damping in Engineered Designs whitepaper. Learn more with our Introduction to Shock Absorption, Impact & Viscoelastic Materials whitepaper.